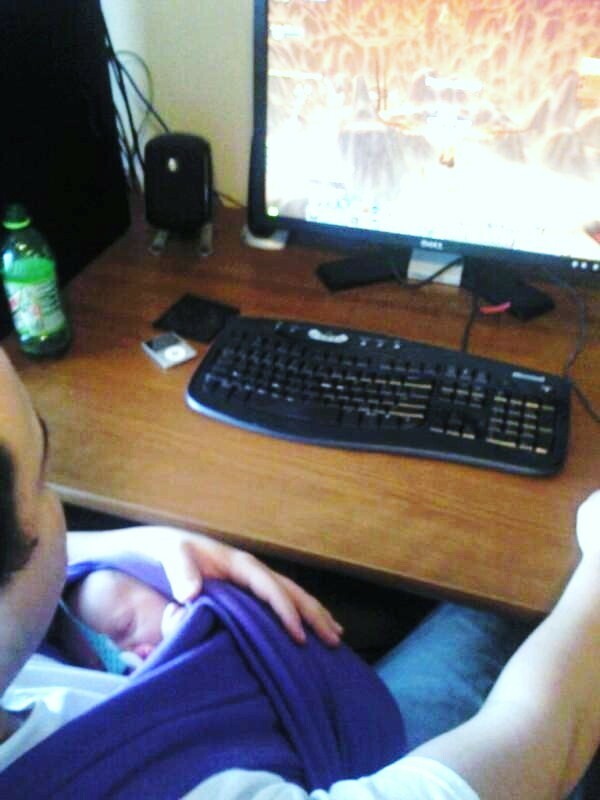 Daddy playing video games with Miss Madi in her Sleepy Wrap. About 3 weeks old. Daddy STILL playing video games. I guess men never change, but babies sure do. I have pics of Adam with Jim playing video games too! But not recently.. but that's b/c Jim's never home when Adam's away anymore! Just wait. My daughters are 12 and 16 and they play games with thier dad everyday. Somethings NEVER change! Too bad babies do. The first picture is so adorable and sweet. Okay so are the others but also comical as well.